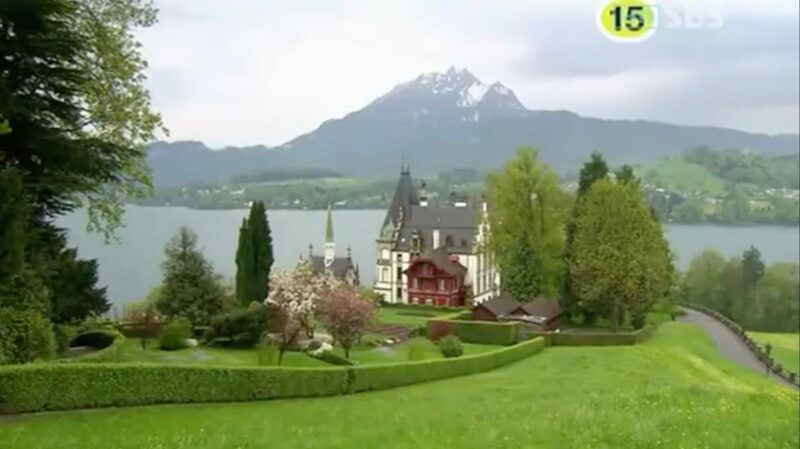 This castle appears as Yun Jae-myeong’s (Lee Jin-wook) residence in Switzerland in episodes 2 and 3 of Smile Again (스마일 어게인) (SBS, 2006). 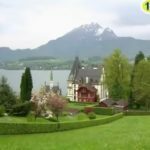 Meggenhorn Castle [Schloss Meggenhorn] is a castle located in the Swiss village of Meggen at the Lake Lucerne (German: Vierwaldstättersee), around 15 minutes by car from the city of Lucerne. Built between 1868 and 1870, this castle – which is surrounded by vineyards – now serves as a reception venue for events (such as weddings) under the municipality of Meggen since 1974. From here, you can either walk about 30 minutes or take bus no. 24 from bus stop ‘Meggen, Schlössli’ and get off at bus stop ‘Meggen, Lerchenbühl’ and walk around 15 minutes from here.